Did you know we do Bulk Rubbish Removal? Steves Garden Bags are well known for our garden bag service and green waste removal however most people don’t realise that Steves Garden Bags also do bulk rubbish removal. That’s right bulk rubbish removal. 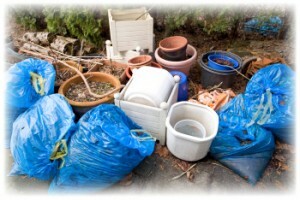 We all know that during the course of our day to day activities rubbish tends to build up around us and most of the time when we do have bulk rubbish in our yards it never seems to tie in with the local council scheduled rubbish pick up. So what do we do? We can’t have piles of rubbish laying around our yard. Steve’s Bulk Rubbish Removal is easy. Just like your local council rubbish collection, all you have to do is stack up your bulk rubbish on the front curb, call Steve on 0418 915 378, and problem solved. Steve and his team will come along on the arranged day and load your rubbish into his truck, clean up the area so you’ll never know the rubbish was there, and your yard is clean and tidy again. The whole process is affordable and easy and no footprint left behind. Exactly how bulk rubbish removal should be. 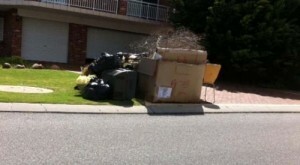 Click this link to learn more about bulk rubbish removal Perth.